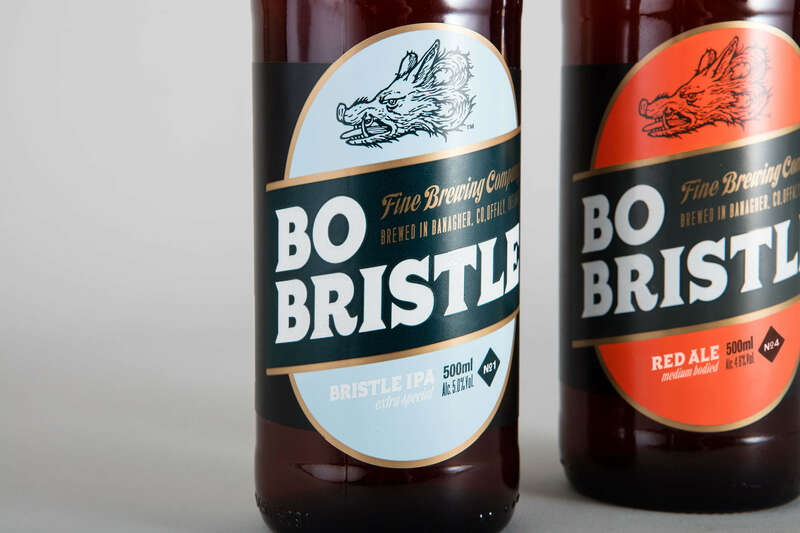 Brewed in Banagher, Co. Offaly, Bo Bristle is a new Irish craft beer with a distinctive flavour which resonates with craft beer followers. Starting with the name, we created the concept of the Bo Bristle boar character to make it distinctive and help it stand out from the saturated craft beer market. The project included the visual identity and design of the full spectrum of communication materials, from the website to the design of the hand-crafted counter mounts made from laser cut metal and Irish bog oak with corresponding fish eyes.